Why do we love perfume? Setting aside the obvious “because it smells good” and the inevitable “because it makes me smell good”, of course. Of our five senses smell is the oldest, and also one of our most powerful. It’s an important tool with which we explore the world around us, building bridges between memory, place and time, and accenting a space with a unique perspective. So much of what we enjoy about fragrance is inherently personal, and yet it’s so social – we love to share our thoughts with others and read about their experiences in return. Take me, for example; I love perfume because it’s a potent mnemonic. One spray of Givenchy’s Hot Couture and I zoom back 9 years to my college IT class, learning about algorithms while gossiping and sneaking bits of chocolate. Fragrance is an elegant and tactile time-capsule, bringing sharper focus to half-forgotten memories while helping to shape new ones. Over the past 100 or so years, perfume as we know it today has really taken shape, and is becoming increasingly more complex and high tech as we move away from natural materials and edge towards the synthetic. With a sphere so rich in history and innovation, and a medium so open to interpretation, translating its complexity is a difficult task; but there’s one publication that is tackling the task in a genius way. ODOU Magazine is a bi-annual, Jasmine award-winning publication founded by designer and editor, Liam Moore. 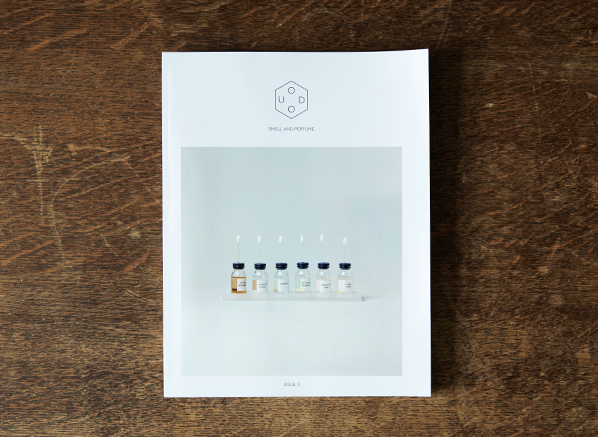 Created by a fragrance fan for fragrance fans, each issue explores smell and perfume through beautiful writing and immersive design, featuring everything from interviews with famous noses and personal essays on fragrance, to photography series and even poetry. 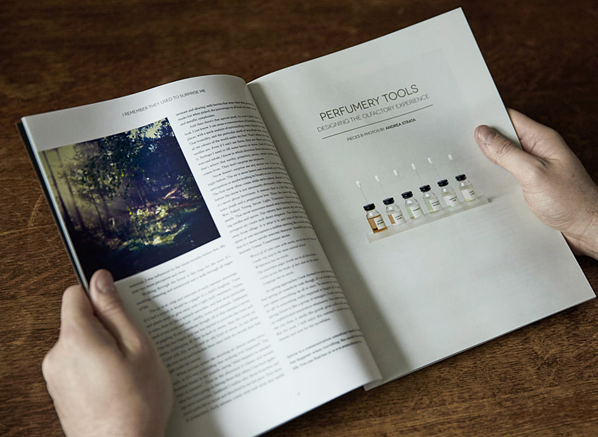 ODOU translates the fluidity and creativity of the olfactory world onto paper, celebrating all things scented “lightheartedly, longingly, scientifically, even lovingly”, through themes of science, art, design and personal reflection. In short, it’s a must for all those who are curious about everything olfactive – and an important read at that. This entry was posted on Monday, June 15th, 2015 at 12:57 pm and is filed under Special Post. You can follow any responses to this entry through the RSS 2.0 feed. You can skip to the end and leave a response. Pinging is currently not allowed.